SCPI Parser / Interpreter Source Code. JPA Consulting Ltd.
Give your instruments SCPI compatibility today! 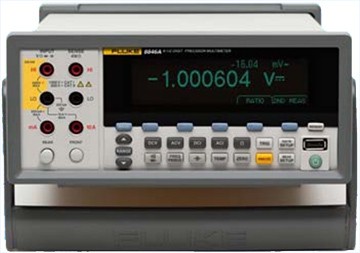 Our customers are companies big and small, including Fluke with their definitive series of Precision Digital Multimeters, the 8845A and 8846A. In the current market, creating the ultimate programmable instrument is not enough to maximize your sales. Customers demand equipment that supports the industry-standard control language. SCPI (Standard Commands for Programmable Instrumentation) is the most common standard today, used by Agilent, Fluke, Tektronix, and many others. Using JPA-SCPI Parser, your instrument can interpret SCPI commands with ease! Its easy-to-use access functions and comprehensive documentation mean your instrument can be "talking SCPI today!" 1 Subject to availability of sufficient ROM and RAM.